Pair of Gothic Oak Chairs - The Penderyn Furniture Co. 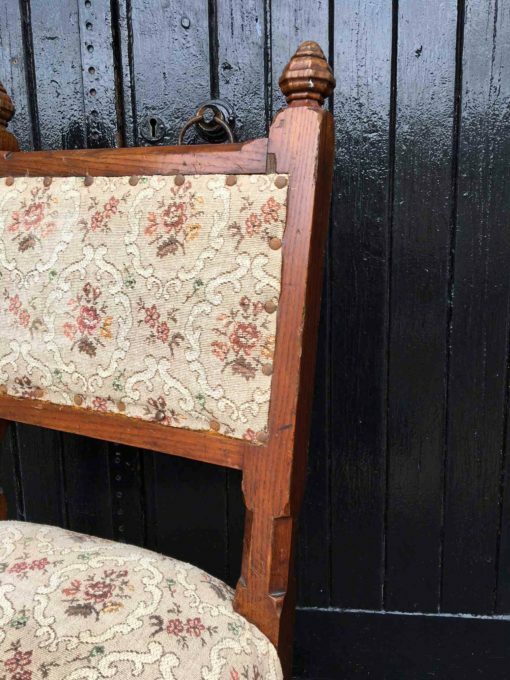 Pair of Gothic Oak Chairs - The Penderyn Furniture Co.
A pair of antique Gothic style oak chairs with floral fabric seats and backs. Standing on octagonal legs and stretchers with carved detail to the feet. 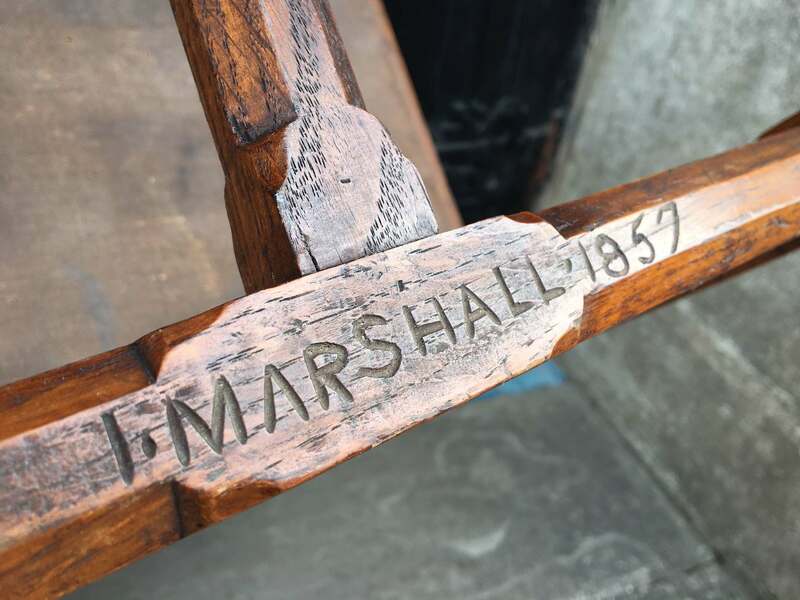 In solid condition throughout and sign ‘Marshall 1857’.